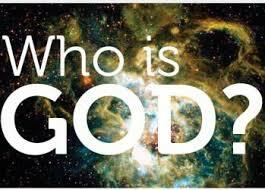 Who is our God? Sounds like a fairly simple question, but in reality, it is not so simple! For the Christian community, the textbook answer is: “Our God is the God of the Bible!” But I want to ask, those of us who are part to the Christian community in America, is the God of the Bible really our God? I mean, think about it for a minute. A recent survey by the American Bible Society revealed that 88 percent of respondents said they own a Bible, 80 percent think the Bible is sacred, 61 percent wish they read the Bible more, and the average household has 4.4 Bibles, yet only one in five Americans read the Bible on a regular basis! My question is this: How can we say that our God is the God of the Bible when we really don’t know the God of the Bible? I say we really don’t know that God of the Bible because the only way we can know the God of the Bible is by reading and studying the Bible! Therefore, if we don’t know the Bible, we can’t know the God of the Bible because the God of the Bible reveals Himself and makes Himself knowable and known through the Bible! So, if we (Americans) as a whole don’t really know the God of the Bible (because we don’t read and study the Bible), then who is our God? From what I am hearing in many so-called Christian camps today, our God is Mammon: The God of Wealth and Prosperity; The Money God! Jesus said: “No man can serve two masters: for either he will hate the one, and love the other; or else he will hold to the one, and despise the other. Ye cannot serve God and mammon.” (Mat 6:24 ESV) This passage and many others are in direct contradiction to those who preach and teach that the primary aim of Christianity is health, wealth and prosperity. The God of the Bible is not the least bit excited by silver or gold. In fact, I read somewhere in the Bible that gold is of such low value in the God of the Bible’s economy that it is used to pave the streets of Heaven! It’s ironic that many people are robbing, killing, and selling their souls to get what the God of the Bible uses as asphalt! If the God we serve only loves the people we love, doesn’t disagree with anything we do, never rebukes or correct us and doesn’t require a change in attitude or behavior from anybody, that is a god of our own making! If we serve a god like that; we are serving an idol! A god shaped in our image! In fact, the reality of the situation is, a god like that serves us! And if that is the case, then we make ourselves to be god! The God of the Bible cannot and will not be manipulated by our prayers or by our faith! It is He who has made us and not us who made Him! Therefore the only proper and correct response is humble submission to His will and to His way. For that is the purpose for which we were created: To do God’s will upon the earth. Therefore, when we live life oblivious to the God of the Bible’s will and purpose for our lives, then the answer to the original question is “us!” We are our god! This entry was posted in Teachings and tagged Bible, Christianity, God, God of the Bible, Jesus. Bookmark the permalink. ← Looks Can Be Decieving!